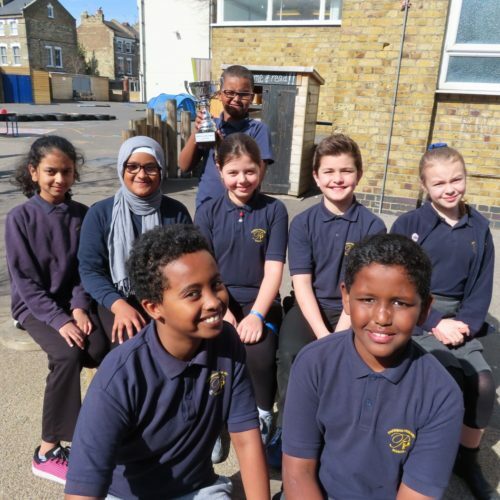 For the past three weeks the 8 of us have been going to AMSI for a Maths competition, competing against 5 other Islington primary schools. 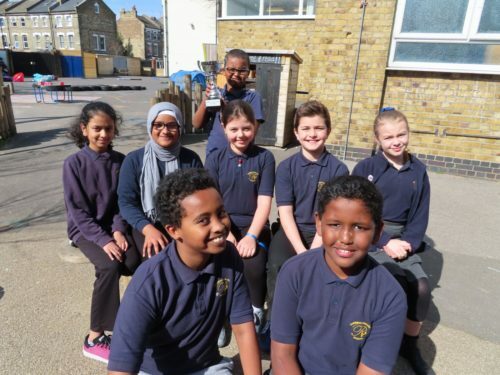 There were three rounds to the competition, which included different activities, including algebra, treasure hunt, code breaking, 24 game, problem solving and a bonus round of quick fire questions. A team captain was elected and everyone made a great effort and contributed really well to the team, answering questions and supporting each other. When all the scores were counted up, Pakeman won first place. It was a great experience, even though we were quite nervous during the competition. We are really happy that we did so well, winning the competition and bringing the trophy and a box of Celebration chocolates back to school!